The Mitra Conference will be held on the 3-4 March 2018. History is made up of stories of individuals, communities and events that shape the future and binds all of humanity together. 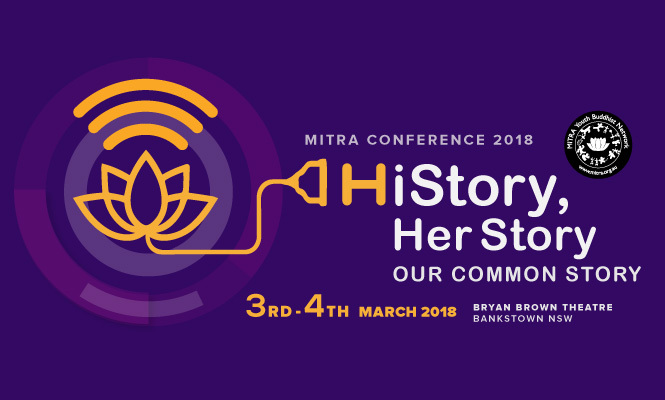 The 2018 Mitra Conference brings together an impressive cast of speakers to explore and celebrate the stories of the past and the stories of today that make up our common story. With speakers from all the major Buddhist traditions, this two-day conference will be filled with talks, performances and workshops. Come along to hear of others’ spiritual journeys and to share your own, and to be a part of the creation of our common story. Learn about insights to navigate through the modern world, and find a way to reconnect with what is truly of value and meaningful to our lives.